This innovative alarm utilizes the power of light to sweep away those slumberous cobwebs; the clock gradually rouses you from rest, entering your sleep cycle through a rising sunlight-simulation. The magic of this device is best during the darker mornings of late fall and winter; your 6 a.m. wake-ups won't feel quite so extreme with the advantage of this ready-made light. For those of us who might sleep through even the brightest of lights, this clock also offers a loud alarm setting with either FM radio or nature sounds. Create an active, sunshiny morning on your personal "farm" when you set this device to full yellow light and farm sounds. We'll admit; this clock is...a little intimidating. But if you're the type of person who would sleep through a trumpet blasting in your ear, you need something with a little more power than a typical alarm. As this is an incredibly loud machine, make sure to safeguard yourself from hearing loss... turn this thing off right away! Or, choose a lower volume setting than the maximum. What if you sleep through sound? What if you sleep through bright, blinding sunlight? What if you even sleep through heavy vibrations, or someone repeatedly shaking you awake? If you answered yes to all of these questions, we're starting to get a little worried about you! Head to a sleep doctor, soon! But if the doctor has nothing to offer you on the subject, there might be a chance that you might need to switch up your sensory input to something different - something that awakens you through the power of scent. Enter the Aroma Alarm Clock, an innovative product that diffuses a fragrance for three minutes before engaging the light and audio functions. The clock is sold with a mint cartridge for zesty wakefulness, but you can also separately purchase cartridges that send out the scents of coffee, seaside, or pine woods. This alarm clock is especially useful for those living in crowded urban environments; you'll feel rejuvenated and refreshed when you inhale the brisk scents of the woods or the ocean. On another angle, if an aversion to caffeine precludes a morning brew, you can wake yourself up with the generated smells of this system. You might be plain tired of all the fancy devices - you want a basic machine that gets the job done. You'll find exactly this sort of machine in the Peakeep Twin Bell Alarm Clock. These bells will resonate in your ears with the clarion call of the morning: Get to task! Get going! There is no time to spare! Although the display of this alarm clock is analog, it is built to be unobtrusive, with silent, non-ticking hands. So, this clock won't keep you awake. It will just wake you up, when you're ready. 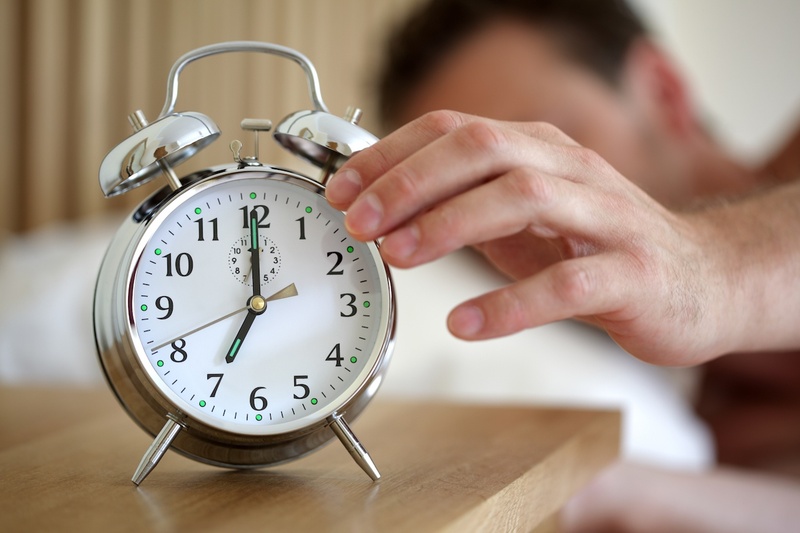 The lack of snooze button means that you won't be able to execute your old tricks. You'll need to respond to this thing with a big jump out of bed. Don't worry, you can jump back in soon enough!